Sitting on the south coast of England, Gosport is a lovely seaside town in Hampshire. With a population of around 85,000, it has a great range of reasonably priced housing which can suit all kinds of budgets. At My Home Move Conveyancing we offer a specialist, fixed fee conveyancing service, and have been developing our knowledge and expertise of property markets like Gosport’s since 2001. When buying or selling property in Gosport, you need to instruct property lawyers to carry out the legal work on your behalf. 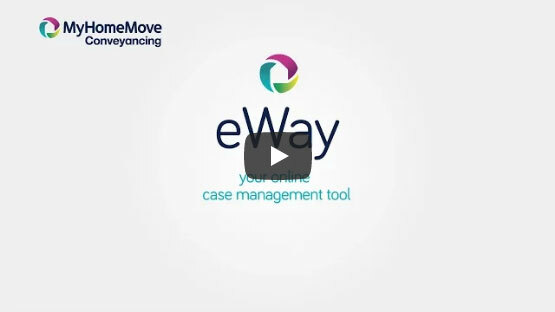 My Home Move Conveyancing offers our clients in Gosport an award winning level of customer service, innovative use of technology and intimate knowledge of the local market. Our professional, friendly conveyancing service comes with no hidden extra costs to worry about. You can budget for exactly how much you’re going to pay from the outset when we act as your Gosport conveyancers, and if you don’t end up completing for some reason, you won’t have to pay us a thing. We’ll assign you a dedicated conveyancer who will take care of all aspects of your case from start to finish, providing you with a consistent point of contact and regular progress updates. At My Home Move Conveyancing we provide our conveyancing services in Gosport to house hunters looking for something by Portsmouth Harbour, around Workhouse Lake and in neighbourhoods like Anglesey and Alverstoke. The average house price in Hampshire is £299,950, while in Gosport the overall average sale price during the last 12 months was significantly lower than this at £189,255. Most sales involved terraces, which went for an average of £178,077. Flats sold for £136,612 and semi-detached properties averaged at £224,841. Gosport sits on a peninsula on the western side of Portsmouth Harbour, an area which has been settled since at least Saxon times. It has a strong heritage as a naval town, associated with the defence and supply infrastructure to HMNB Portsmouth. The modern town is a popular place to live among people that commute to other places of work, which shows Gosport’s appeal as a place to buy a house. Gosport is one of Britain’s largest towns that doesn’t have its own railway station. You can take a quick ferry from the town’s harbour across to Portsmouth though, from where trains can be caught to plenty of local destinations. If you want to get to London, the journey from Gosport takes around two hours. The nearest motorway is the M27, which passes to the north of town and connects Gosport to Southampton and the M3 to the west, and the A3(M) to the east. There are plenty of schools to choose from in the local area, with primary options including Woodcot Primary, Bedenham Primary and Holbrook Primary. Bay House School is a secondary school that and former grammar school in Stanley Park, while Bridgemary and Brune Park are the other secondary choices in town. If you’re looking for further education, try St Vincent Sixth Form College. All properties in Gosport will fall within one of the following council tax bands.